The house built by Frederick Purdy in 1895. 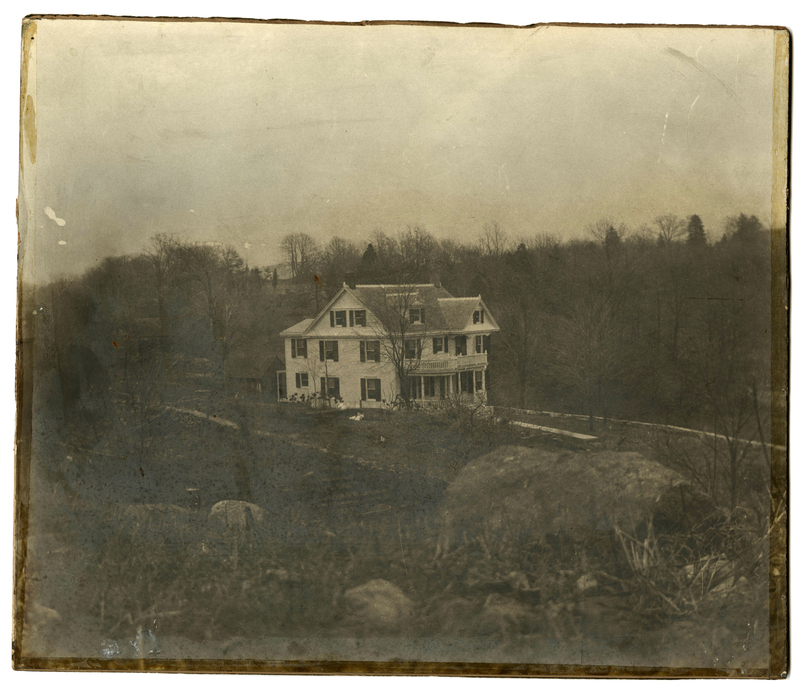 One of the treats of this Sunday’s 18th Annual Croton Arboretum Garden Tour will be a chance to see the Purdy homestead on Quaker Ridge Road and a group of 100-year-old family photographs, lovingly preserved and made available by local restaurateur Craig Purdy. Today, the property is a magnificent 23-acre estate—no longer in the family—but it was originally part of the much larger land-holdings of the Purdy family, who settled in Cortlandt in 1735. The Purdy’s have deep roots in Westchester. Jacob Purdy is perhaps the most famous—he joined the Westchester Militia in 1775 and served until the end of the Revolution. His house in White Plains was used as General George Washington’s headquarters in 1778 (and possibly in 1776, during the Battle of White Plains). In Cortlandt, Quaker preacher William Purdy bought land on the south side of the Croton River from the Van Cortlandt’s in 1800, though according to family lore the single-story red farmhouse on Cliffdale Farm was built by a Purdy relative as early as 1735. William Purdy’s lasting contribution was the covered wooden bridge over the Croton River he rebuilt at his own expense in 1830, to a give Friends access to the Quaker meeting house in Croton. That bridge is long gone, but the Quaker Bridge we cross today—one of the oldest bridges in Westchester—is a lasting tribute to his civic virtue. The home on the Arboretum garden tour was built in 1895 by Frederick Purdy, who purchased the land from Craig Purdy’s Great Grandfather, Charles Miciah Purdy. The family photographs on display (see a selection below) come from the estate of Craig’s mother, Jean Thompson Purdy, who passed away in December 2013 at the age of ninety. Tickets for the tour are still available at $20 each (or $35 for two, if reserved in advance). The New Croton Dam, spring 1910. The New Croton Dam spillway, spring 1910. Rare photo of the schoolhouse, built along Quaker Ridge Road near the intersection with Quaker Bridge Road. Another view of the schoolhouse, along Quaker Ridge Road.